A while back, Scientific American reported on a study that linked inactivity to the aging process. In part, the study reported that: "A sedentary lifestyle increases the propensity to aging-related disease and premature death," researchers at King's College London report today in the journal Archives of Internal Medicine. "Inactivity may diminish life expectancy not only by predisposing to aging-related diseases but also because it may influence the aging process itself." 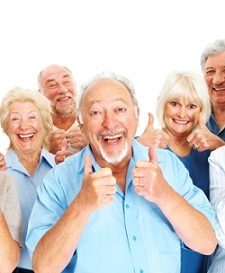 In short, seniors that are active and involved are healthier and happier. Obviously it’s important that seniors have appropriate opportunities to interact with others. And not every activity is right for every senior. That’s why it’s important that a quality retirement community have a wide variety of physical and social activities to meet the varied needs of their residents. Of course not every engaging activity needs to be scheduled. Often our residents take advantage of our beautiful gardens and grounds, our inviting parlors, dayrooms and recreation rooms, or our tearoom and garden atrium for spontaneous get-togethers. Drop us a note if you’d like more information about the ways we help our residents stay active, healthy, and happy.